In colonial times there were no strings of Christmas lights or eco-friendly LED bulbs, holiday decorations were made out of sugary pastries and marzipan carefully arranged on banquet tables of the wealthy and powerful. 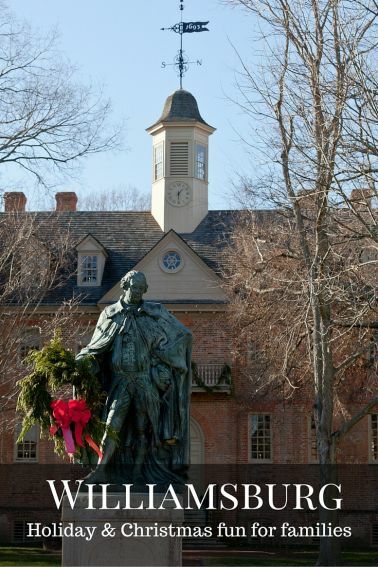 During a Colonial Williamsburg Christmas, families have the opportunity to learn about and experience the holiday celebrations of the people that lived in Virginia over two centuries ago. If you’re a fan of huge, modern displays of holiday lights, like I am, you’ll be relieved to learn that there are plenty of places in the Hampton Road region not too far from the historic streets of Colonial Williamsburg. There your family can also celebrate the holidays in a more modern fashion with hot chocolate, familiar Christmas tunes and plenty of tiny, electrically powered lights. Updated for 2018! 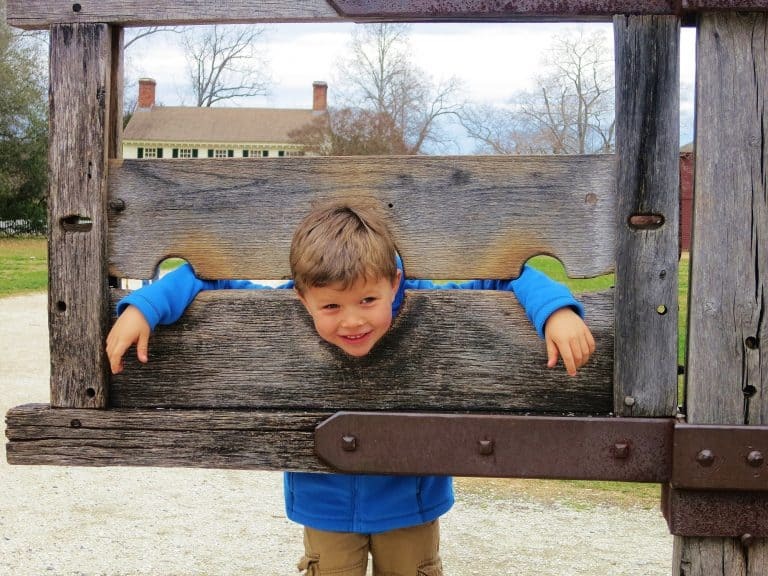 While Christmas certainly wasn’t as commercialized in the late 18th Century as it is now, Colonial Williamsburg does have a full schedule of holiday activities available for visitors to appreciate what the holidays might have been like in the colonies. 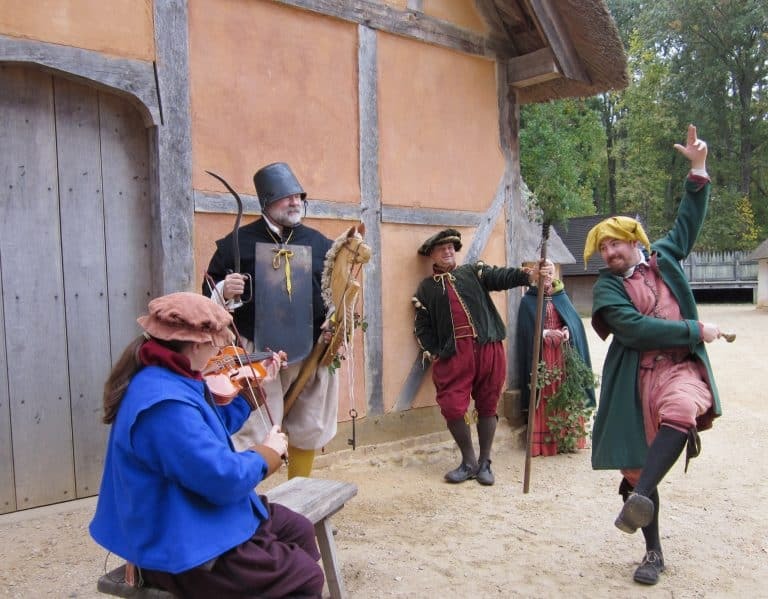 From a traditional celebration of illuminations that light up the historic capital town with fireworks to concerts of 18th-century music played on traditional instruments, there are plenty of special events for families to choose from throughout the month of December to celebrate a Colonial Williamsburg Christmas. When my family visited the colonial city during the first few days of January, the town was still decorated with intricate holiday wreaths hanging on each door. Relatively few tourists were sharing the streets with us as we strolled down Duke of Gloucester Street sipping our hot apple cider. At the Governor’s Palace, we learned of the parties that the Williamsburg elite would attend in the winter season and were treated to the house musician practicing a minuet on the harpsichord in preparation for an upcoming ball. Busch Gardens, a popular warm-weather amusement park destination, also knows how to bring the holiday season to life. 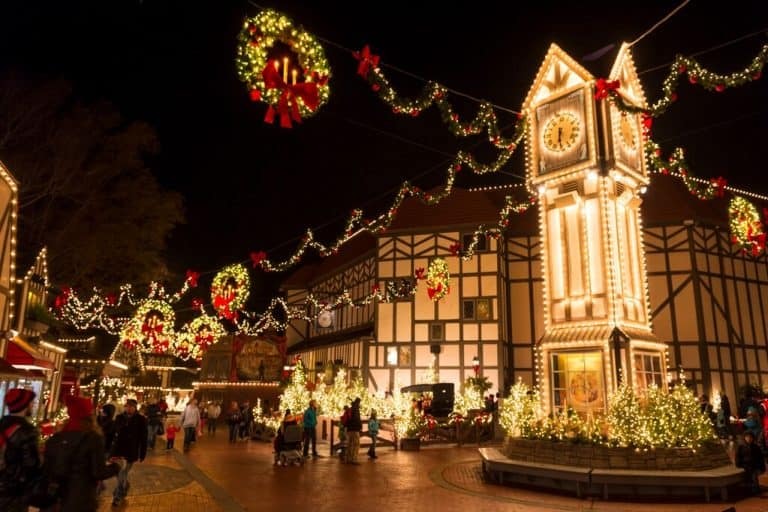 During the Christmas Town celebration, the park’s quaint European villages are lit up with over 8 million lights and decorated with more than 1300 fresh-cut Christmas trees. Families can enjoy holiday treats and peppermint hot chocolate while they experience a variety of European Christmas traditions. For the little ones, the Sesame Street Forest of Fun will also be decked out in lights for the holidays this year. Don’t forget to take time to experience a couple of the shows including our two family favorites: ‘Twas That Night” ice show featuring Olympic ice skater Elvis Stojko and “Gloria” a joyous re-telling of the Christmas story. If you’re looking for something more low-key, the Yankee Candle Company in Williamsburg celebrates the holidays year round. In November and December village shops turn into a winter wonderland filled with beautiful decorations to enjoy with your family. We spent a rainy afternoon inside looking at all of the displays, enjoying the edible treats, and making our candles. Check for amazing deals on family-friendly hotels in Williamsburg. There are a variety of lodging options in the Williamsburg area. 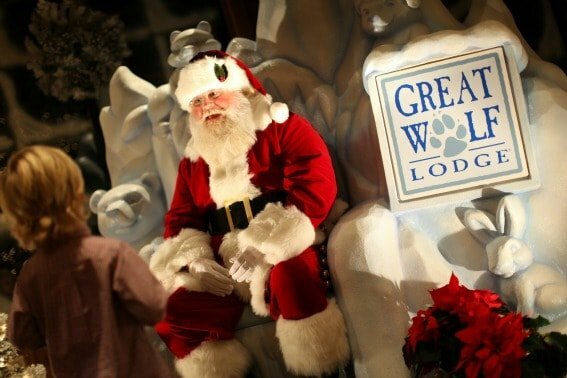 On my family’s visit to Williamsburg last January, we treated the kids to a visit at Great Wolf Lodge. The kids loved our bunk bed room just down the hall from Great Wolf’s distinctive indoor waterpark. The waterpark can keep a family busy for hours with a lazy river, wave pool and water slides for all ages. The holiday season brings a “snowfall” to the lobby in the evenings and fun decorations. From the wolf ears that the kids received at check-in to the balloon swords that were twisted for them in the lobby as we were headed out to the car for the trip home, the kids couldn’t have had a more delightful visit. 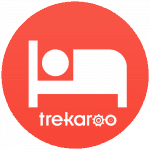 Trekaroo families have also enjoyed Kingsmill Resort. Situated along the James River, the resort boasts breathtaking views, a prestigious golf course, delicious dining options, and a host of family-friendly amenities to keep everyone in the family happy and entertained. And, just like everywhere else in Williamsburg, Kingsmill is always expertly dressed for the holiday season, both inside the lobby and around the grounds. Holiday fun in Hampton Roads is not limited to the Williamsburg area; there are also plenty of family-friendly events in Newport News. 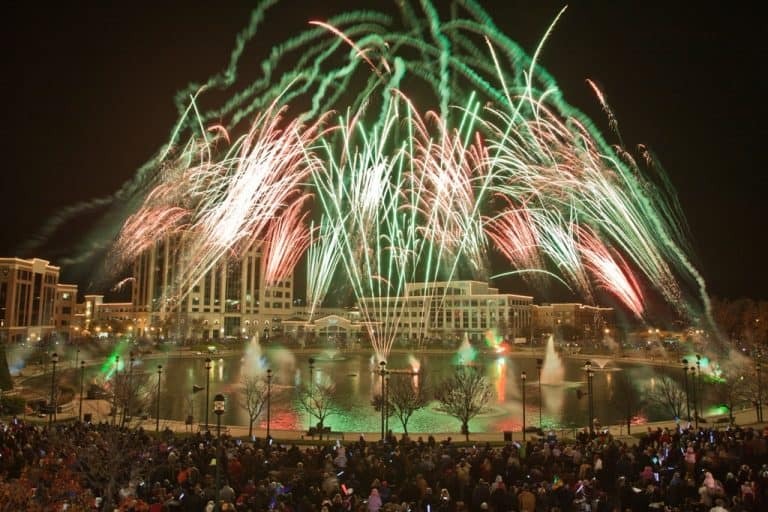 The Hollydazzle event held annually the first weekend of December in Newport News is the area’s big family-friendly event of the season. It begins in the afternoon with food, children’s craft activities, and entertainment then culminates after sunset with the “Fountain of Light Show” featuring spectacular fireworks. If you’re not in town for the big event, there are still more opportunities to delight in holiday lights in Newport News. For more than two decades, Newport News Park has been transformed into the Celebration in Lights. This drive-through display of holiday lights is the longest running event of its kind in the state of Virginia. Look for the deals on hotels in Williamsburg. More holiday fun can be found by crossing the James River into Portsmouth and Norfolk. Portsmouth’s celebrations center around its museums. 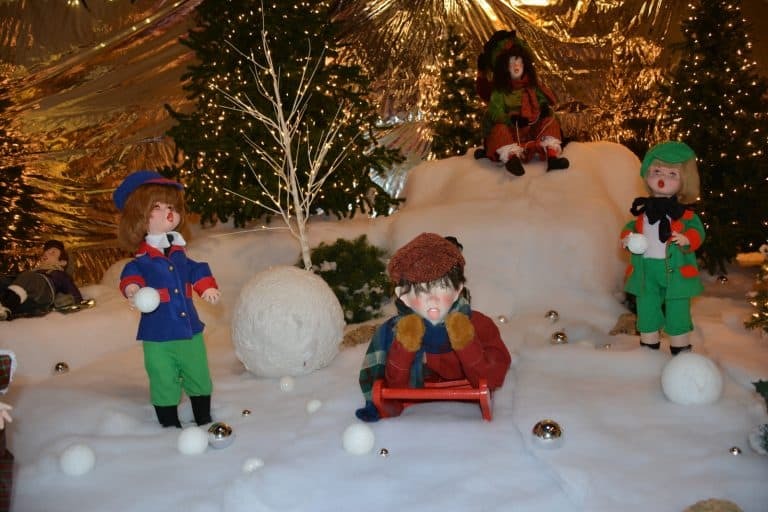 The Portsmouth Art & Cultural Center is hosting its traditional Winter Wonderland display featuring Coleman Nursery Yuletide figures. Animated figures from Santa and his elves to polar bears and penguins have delighted generations of Hampton Roads families. For more festivities, head over to the Children’s Museum of Virginia for a full schedule of holiday activities. Across the harbor in Norfolk, the Norfolk Botanical Gardens is once again hosting its amazing winter light display, the Dominion Energy Garden of Light. For the third year, Norfolk’s downtown waterfront is being transformed into Dicken’s Christmas Towne hosted by the nearby Nauticus museum. This family-friendly event features an animated puppet show sure to delight the little ones, carolers and street performers, a petting zoo and an indoor model train railway. Looking for more holiday festivities in the Hampton Roads region? Here’s a list of places for families to Celebrate the Holidays in Hampton Roads. 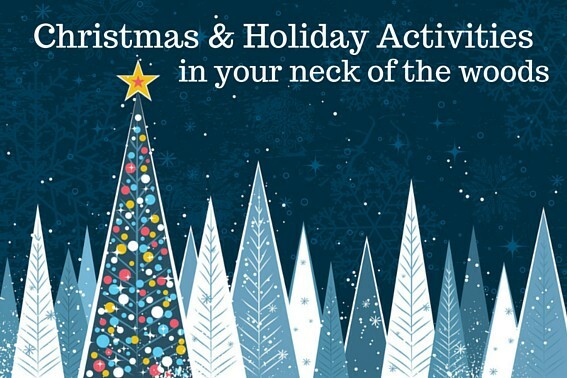 Find holiday activities and events in your neck of the woods. We’ve got the inside scoop on cities across North America. We visited Williamsburg ages ago and loved it. Nicely captured! I love your son’s pet names “The Dudes!” Classic!